Menorah, by Eliahu Stav, dwells in the realm between “pure” and applied art, reflecting the brave interface between basic and applied scientific research. This is a kinetic sculpture that from different angles presents different images to an observer circling it. Other works by Stav are exhibited at the entrance to the Hatomer community school in Nes Ziona and at the entrance to the Nes Ziona municipality. Eliahu Stav was born in Poland in 1926 and immigrated to Israel in 1933. In 1968 he started working in the instrumentation and welding department of the Weizmann Institute’s Division of Research Services. In 1992 Stav retired. 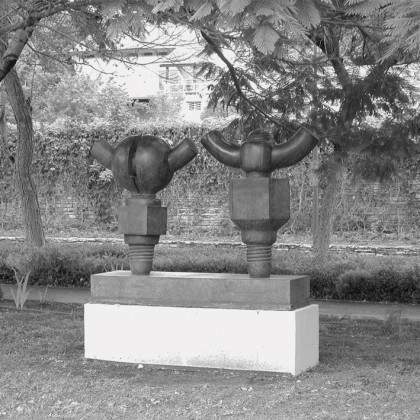 King and Queen belongs to Sorel Etrog's “Screws and Bolts” series. The figures of the king and queen are made up of basic modular components assembled on their axes and give the illusion that they can be opened and closed, even though in reality they cannot move. The crowns of the royal couple resemble horns, hinting at Etrog’s interest in Native American culture, while their mechanical shape suggests technological robots. Etrog uses a complex visual vocabulary to explore the forces shaping our time, such as the tension between technology and the living world. 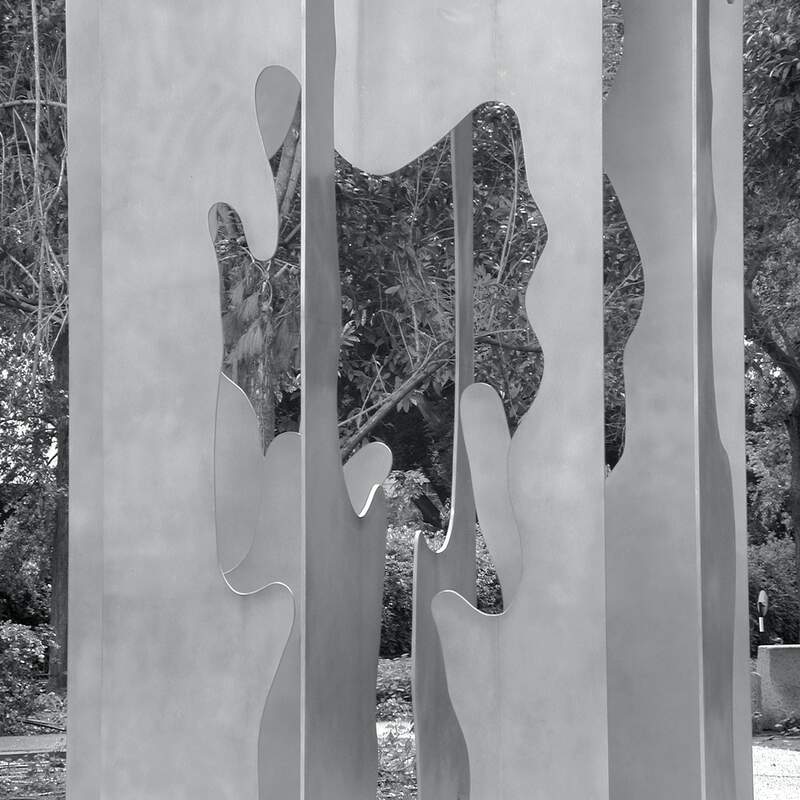 The artist donated the sculpture to the Weizmann Institute in memory of Samuel J. Zacks’s widow Ayala. 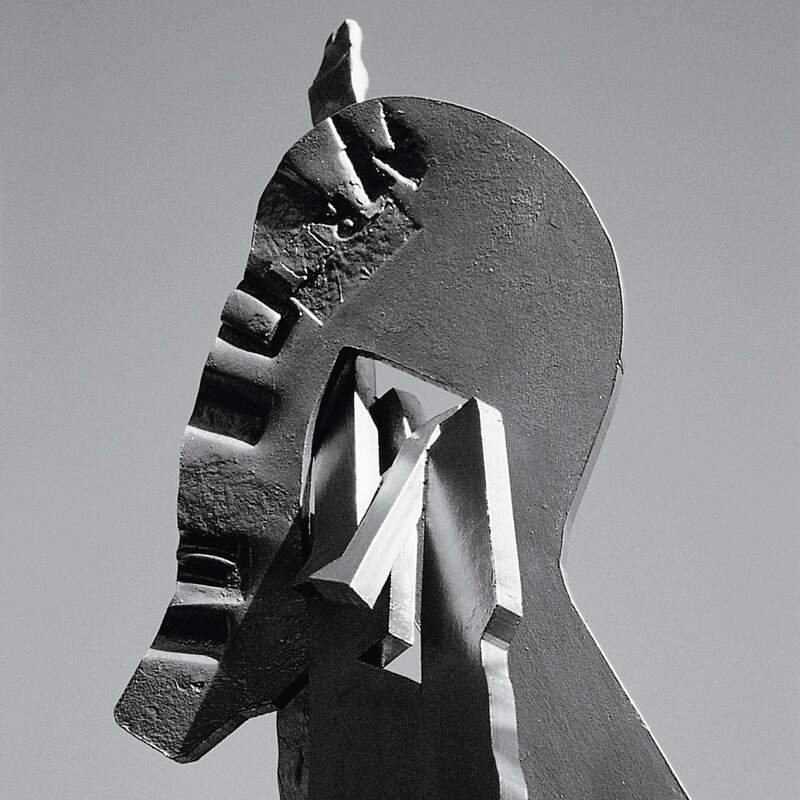 Sorel Etrog was born in Romania in 1933 and immigrated to Israel with his family in 1950. He studied at the Avni Institute under Yehezkel Streichman, Marcel Janco, Moshe Mokady, and Moshe Sternschuss, among others, and has created projects in collaboration with Eugène Ionesco, Samuel Beckett, Marshall McLuhan and John Cage. His works are exhibited in modern art museums in New York and Paris, in important galleries in London, and in numerous private collections. Etrog lives in Canada. 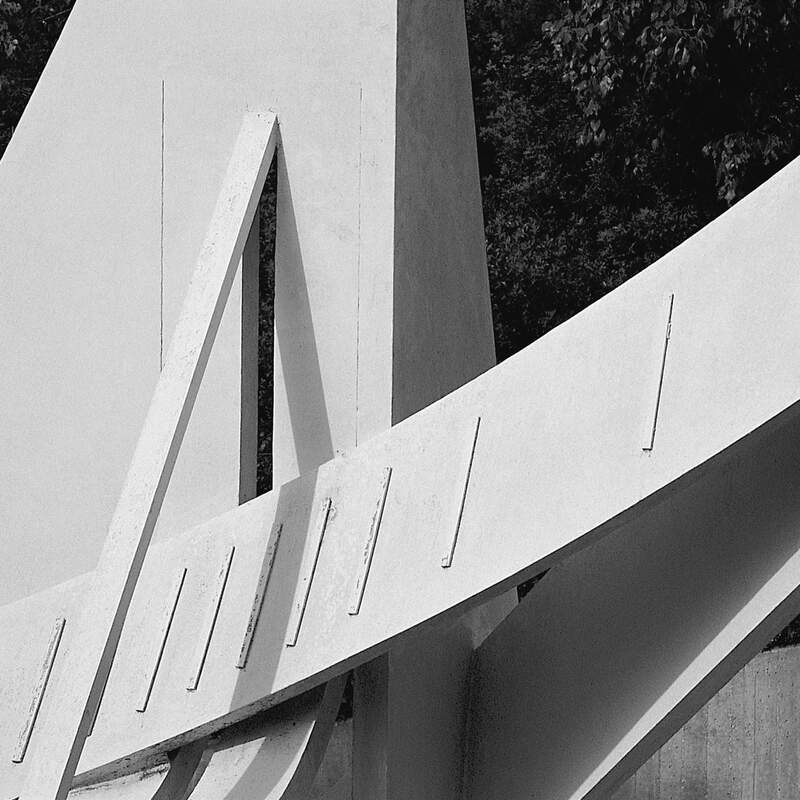 Sundial/Canadian Light, created by Zippora Gendler with the help of her brother Sorel Etrog, thrusts a sharp edge skyward while its curved component cuts dramatically across the work. The sculpture is executed in minimalist, geometric mode, in line with the style of the period, its shape resembling a metronome. 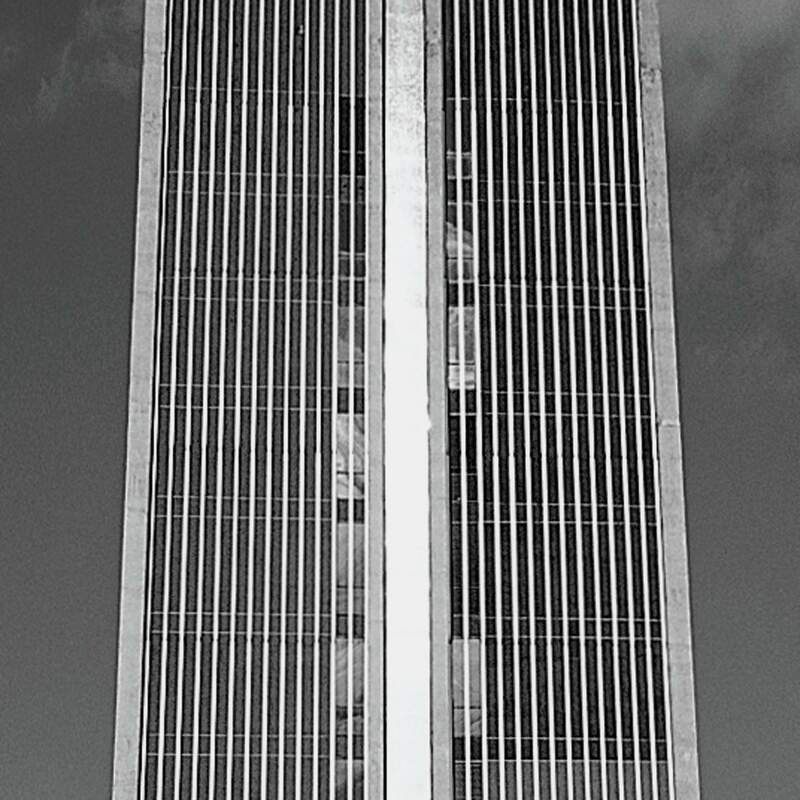 Its allusion to a real-life sundial dictated the dynamic shape of its components and the compelling relationship between them, with the arched element piercing through and projecting toward the sky in a view from the side. The sculpture was donated to the Weizmann Institute by Joel Greisman and his family. Zippora Gendler was born in Romania in 1940. She immigrated to Israel in 1950 and in 1979 started to create sculptures after studying sculpture under Shoshana Heimann and drawing under Rachel Shavit. Gendler lives in Tel Aviv. Semaphore belongs to the artist’s “Totems” series. The upward-thrusting sculpture is made of forged iron treated with a heavy industrial hammer. The sculpture’s title is derived from the signaling system used by navigators at sea and by train drivers. Columns have always formed the basis of architecture. At the outset they were linked to nature, to vegetation, and always to landscape. Here, the column is industrial and man-made, rebelling against divine nature. An additional contrast embodied in the sculpture sums up the Israeli experience: on the one hand closely tied to the West, on the other hand striving to be part of its immediate context, the Middle East. Igael Tumarkin, born in Germany in 1933, immigrated to Israel as a two-year-old. He was a student of Rudi Lehmann in 1954, and in the following year studied and worked with Bertolt Brecht in the Berliner Ensemble in East Berlin. Renowned as a sculptor, painter, writer, intellectual and rebel, Tumarkin fought for a break from the lyrical abstract and is known for his groundbreaking use of new materials. He has represented Israel at the Venice Biennale and the São Paulo Biennale. His works are exhibited in various cities in Israel, Germany, France, Spain, the former Czechoslovakia, Japan and the United States. Ritual is dedicated to the memory of Amos de-Shalit, a prominent nuclear physicist and former Director-General of the Weizmann Institute. The sculpture consists of two unusually large pieces of white Carrara marble whose combined weight is seven tons. The two pieces lean against each other, like two people sharing a secret. Giorgi treats empty space like a structural element, equal in worth to massive material shapes. The sculpture’s placement in the middle of a pool provides a reflection that doubles its presence in the environment. The sculpture was donated to the Weizmann Institute by Adolfo Bloch, Brazil. Bruno Giorgi was born in Sao Paulo in 1905. In his youth he was arrested for participating in an anti-fascist movement. In the 1930s he had a studio in Paris, where he studied and worked with Aristide Maillol. In 1936 he joined the Spanish republican forces and took part in the Spanish Civil War. 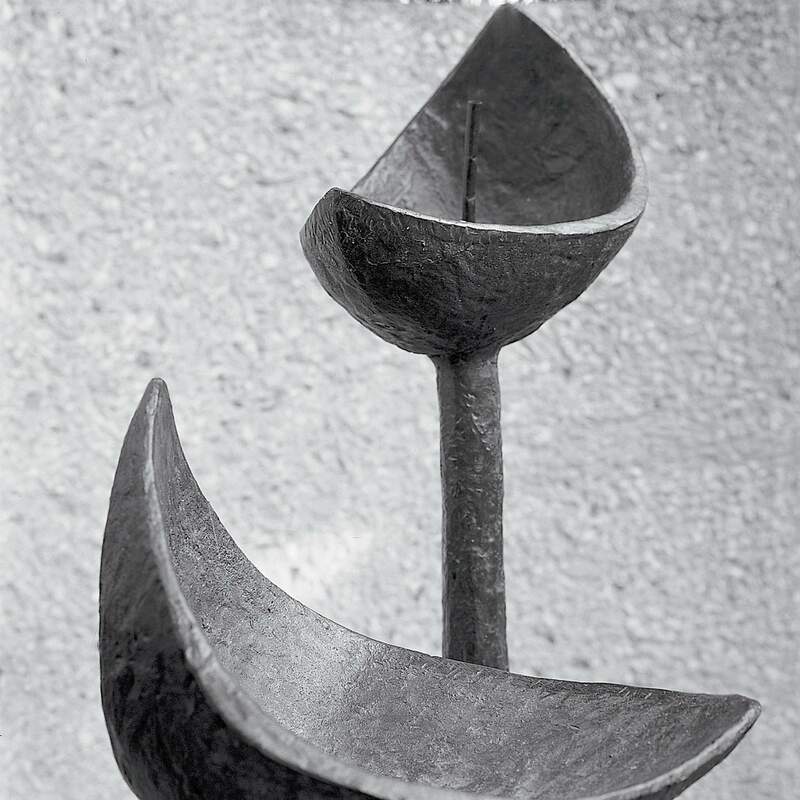 After Franco’s victory Giorgi returned to Brazil and devoted himself to sculpture. 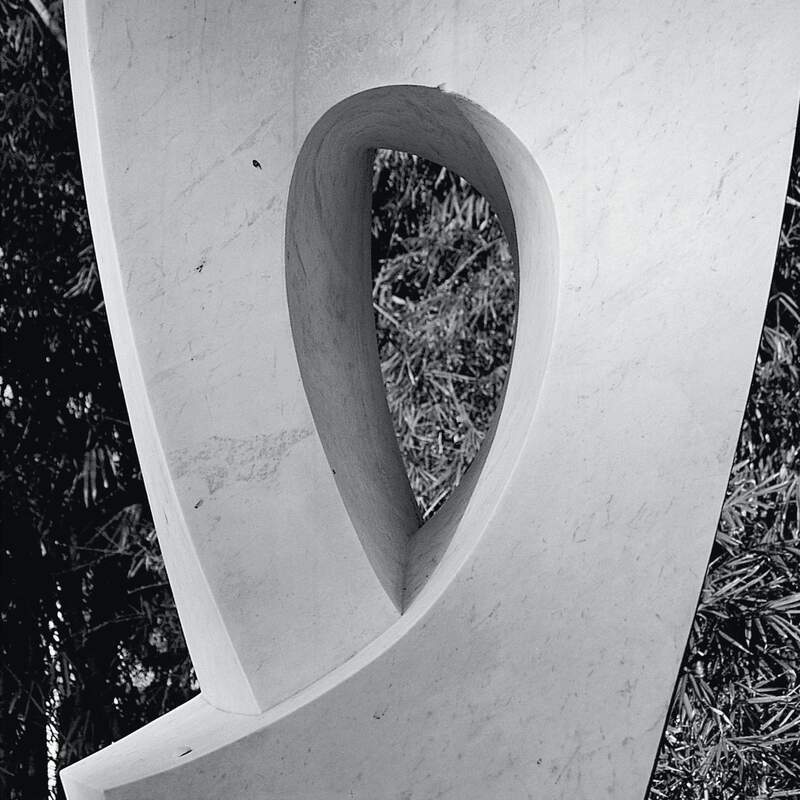 In the 1960s he created two large sculptural monuments of Carrara marble that were a milestone in the development and design of the city of Brasilia. Giorgi died in Rio de Janeiro in 1993. Menorah/Tree of Knowledge conveys multiple meanings via its shape. From the front, it looks like a menorah with six branches extending to the sides, while the seventh, central branch is at a diagonal. From a different angle, the sculpture resembles a tree with oranges interspersed among its branches. From the side, it evokes a dove spreading its wings in mid-flight, or a hand extended to the heavens in prayer; and from a different front view, it looks like a human figure bent backward – its legs supporting the mass above, its arms doubled or tripled and spread to the sides, and its waist encircled by electrons or satellites. Menorah/Tree of Knowledge was dedicated to Israel Sieff, Lord Sieff of Brimpton, on the occasion of his 80th birthday. Nathan Rapoport was born in Poland in 1911. He studied sculpture from age 16 in Warsaw. From 1936 he studied and worked in Italy and France, where he met Auguste Rodin, Aristide Maillol, and Jacques Lipchitz, and dedicated himself to creating monumental memorials like the 1948 Warsaw Ghetto Uprising Monument in Warsaw. Rapoport came to Israel in 1950 and created several well-known memorials, including the one to the leader of the Warsaw Ghetto Uprising in Yad Mordechai (1951) and the memorial to the fallen defenders of Kibbutz Negba (1953). Rapoport died in New York in 1987. 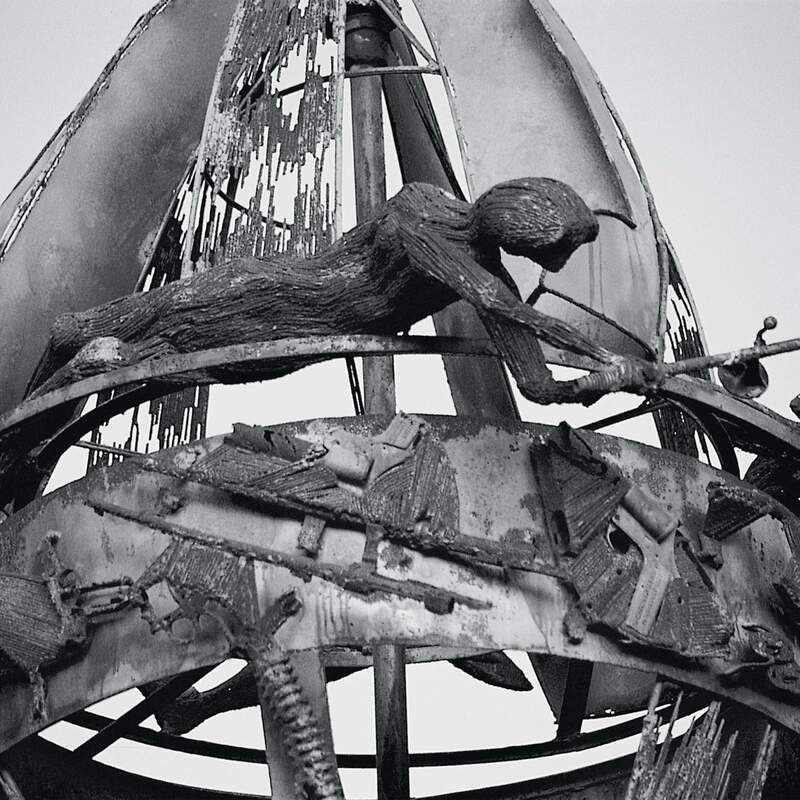 Swords into Plowshares climaxes in a spherical structure that soars upward. Climbing along its base and up the sculpture itself are complex figures composed of such weapons as mortars, machine guns, and pistols, covered with a layer of iron and giving the appearance of having been “beaten into plowshares.” Above them are figures that seem about to strike the ball to awaken it from its lethargy. The work echoes the artistic trends prevalent in sculpture in the 1960s and 1970s, mainly in pop art. It was created in honor of Harry Levine, one of the founders of the American Committee for the Weizmann Institute of Science. The Inner Light, built as a winding spiral that expands in a flowing upward movement, suggests the human spirit striving toward an experience beyond material reality. 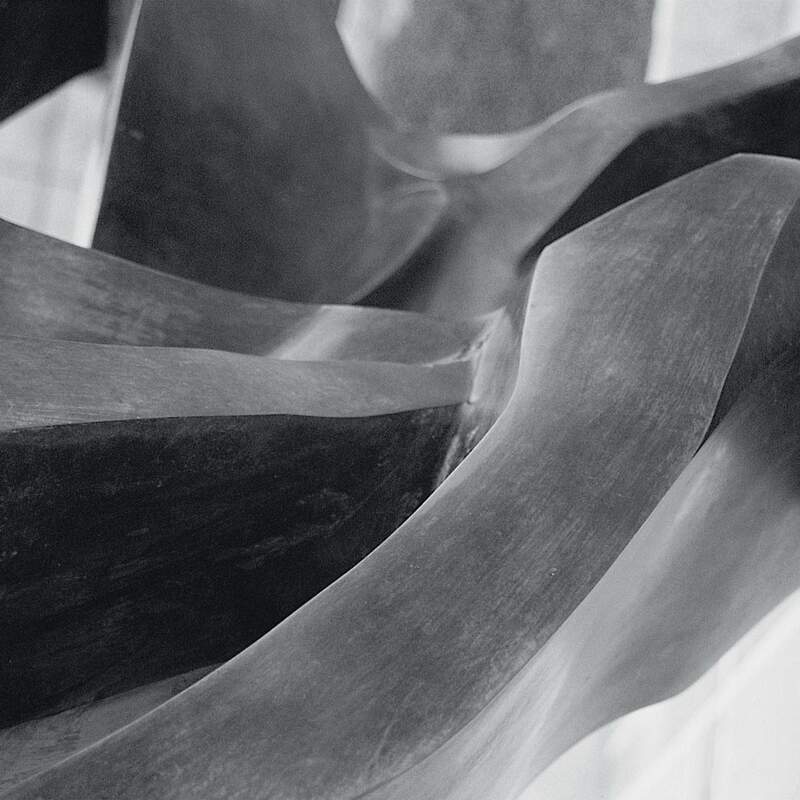 The majority of Graetz’s sculptures are made of stainless steel and bronze and designed in aerodynamic shapes. This sculpture faithfully represents the artist, who formulated an abstract but understandable artistic language that is neither provocative nor aggressive but, rather, elegant and somewhat sterile – in keeping with cultural progress. The sculpture’s metallic sheen gives it an inner radiance. 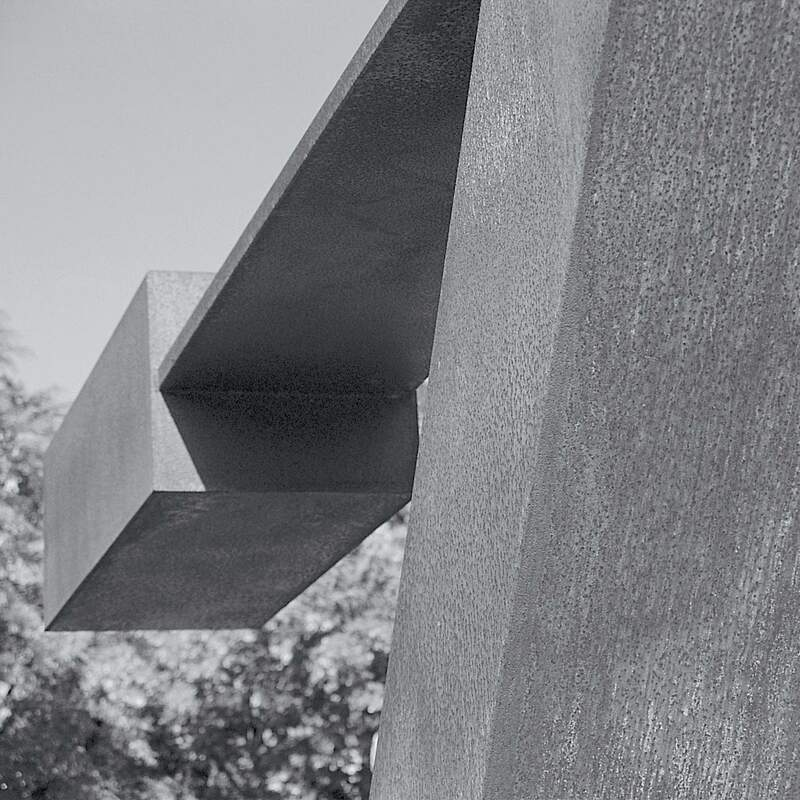 The work was donated to the Weizmann Institute by the sculptor in memory of his late father, Heinz R. Graetz, one of the pioneers of Israeli navigation and a founder of the Dizengoff shipping company. Gidon Graetz was born in Tel Aviv in 1929. He grew up on Kibbutz Beit-Alpha and fought in the Palmach in battles over Jerusalem. He studied at the Florence Academy of Art and the Ecole des Beaux-Arts in Paris. Since 1965 Graetz has been living in Florence. Weizmann Institute Board member Ayala Zacks-Abramov is the artist’s aunt. Tree of Life emerges from its base and, with exuberant vitality, splits into two major branches. The sculpture is a tribute to the tree of life, the Institute’s emblem, and expresses optimism and hope for a better future to be achieved through the blossoming and triumph of scientific research. 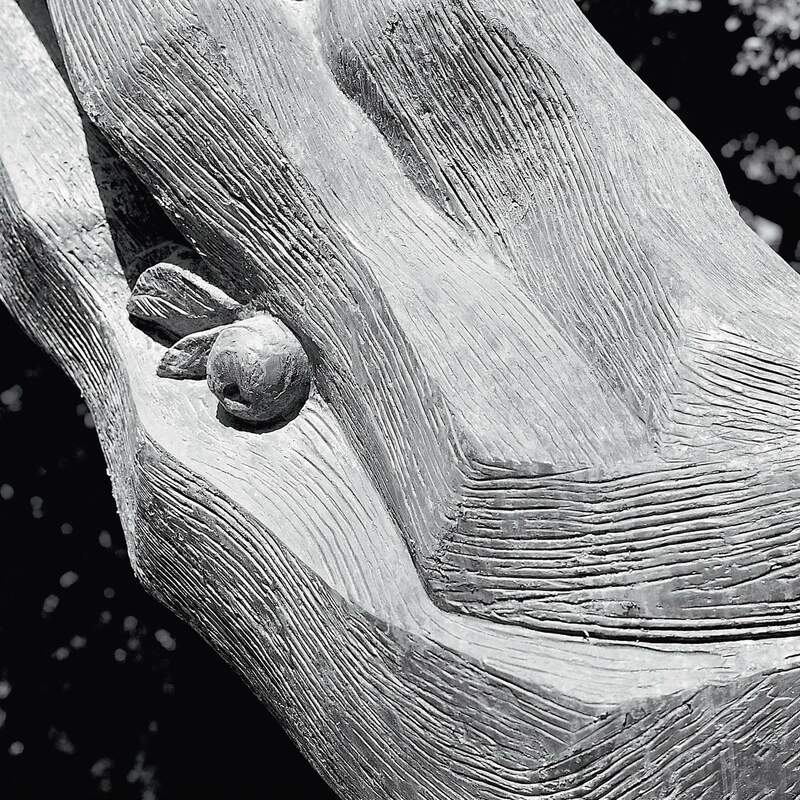 The sculpture was donated to the Institute by the artist to mark the 25th anniversary of the Pasteur-Weizmann collaboration and in honor of the Institute’s jubilee. Hedva Ser, born in Petach Tikva in 1948, studied in Tel Aviv, Paris, and London. She has exhibited her works in important art museums in France, the United States, and Israel. Her artistic works can be found in the Knesset in Jerusalem, as well as in other collections. Ser lives in France. Tree of Life rests on a wide trunk that gives rise to numerous branches, some of them shaped like women whose legs, arms, and garments appear to emerge from the sprawling branches. A closer observation reveals that these women are “giving birth” to a multitude of smaller creatures. These figures evoke a dynamic and upbeat legendary world nurtured by Reder’s memories of his hometown of Czernowitz, one of the birthplaces of the Hassidic movement. The complex work also hints at Greek mythology and French culture. A combination of the human body with the world of fauna and flora evokes a novel experience, fantastic and surrealistic, combined with theatrical and mystical elements and imbued with poetic atmosphere. Bernard Reder was born in Czernowitz (Austria, today Ukraine) in 1887. He studied at the Academy of Fine Arts in Prague, and worked and exhibited his sculptures together with Aristide Maillol in Paris. With the conquest of Europe by the Nazis he was forced to flee to Spain, and then went on to Portugal, Cuba, and the United States. His sculptures are on display in modern art museums in Paris, New York, and other cities. Reder died in New York in 1964. Three Fledglings, made of metal, depicts tall, thin fledglings, amusing in their shape, stretching to their full height while ostentatiously opening wide their exaggeratedly large beaks to demand food. Their thin necks with a few perky feathers add a further humorous touch to the sculpture. 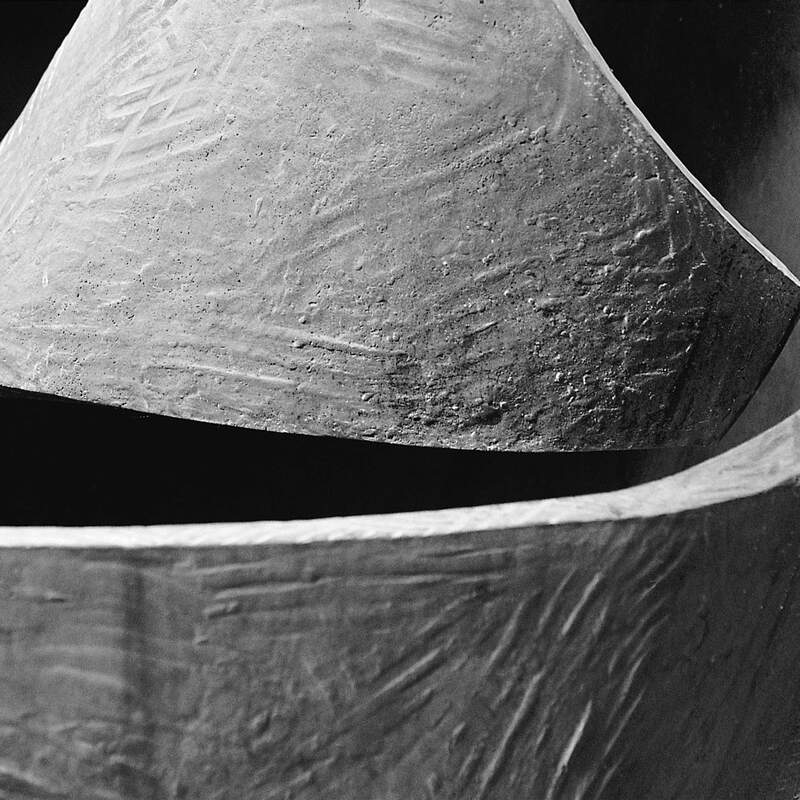 Sternschuss was one of the first Israeli sculptors to turn to the abstract. Since the mid-1950s, like his friends Dov Feigin and Yehiel Shemi in the avant-garde New Horizons Group, he has experimented with the motif of birds and the nest. These works are mostly built from industrial iron parts; but even when relying on clean geometrical structures like cylinders, spheres, and cones, a legacy of Cubism, his works retain a strong link to human beings and the living world. Moshe Sternschuss was born in Poland in 1903 and immigrated to Israel in 1926. He studied at the Bezalel Academy of Art and Design in Jerusalem, then at the Ecole des Beaux-Arts in Paris. In 1948 he was among the founders of the New Horizons Group. He headed the sculpture department of the Avni Institute in Tel Aviv and was a senior lecturer on sculpture at the university of Haifa. His sculptures are exhibited in numerous public institutions in Israel, and in useums in Israel and abroad. Sternschuss died in Tel Aviv in 1992. The Solar Line consists of a vertical mirror that cuts the solar tower in two, endowing the monumental vertical structure with an air of lightness; it echoes the solar mirrors in the field behind the tower that serve to concentrate sunlight onto targeted research points. From the tower, the line continues as a series of mirrors on the grass lawn in front of the building. At sunrise, the mirrors produce a bright line, which begins as a continuous vertical and extends further as luminous spots on the ground. Dani Karavan was born in Tel Aviv in 1930. He studied art with Aharon Avni, Avigdor Stematsky, Yehezkel Streichman, and Marcel Janco. He continued his studies at the Bezalel Academy of Art and Design in Jerusalem with Mordechai Ardon, and at the Academy of Fine Arts in Florence. He has represented Israel at numerous international exhibitions, among them the Venice Biennale, the Kassel Documenta, and the Sדo Paulo Biennale, and has been named a UNESCO Artist for Peace. Karavan divides his time between Israel, France, and Italy. Menorah/Burning Bush, dedicated to the memory of John F. Kennedy, draws on dual imagery. On the one hand, it looks like a menorah whose seven branches are made of metal plates; on the other hand, it looks like the Burning Bush, with the Hebrew words Baruch ata (Blessed be thou) arising from its midst. The base of the sculpture is of local basalt stone, an Israeli tribute to the personality of the assassinated president. The heavy basalt blocks are pulled by gravity downward, to the ground of reality, while the shiny metal arms of the menorah create a contrasting, almost spiritual movement, striving upward to a loftier existence. Beverly Pepper was born in New York in 1924, studied at the Pratt Institute in New York City, and worked in Paris with Fernand Lיger and Andrי Lhote. At the outset she saw herself as a painter, switching to sculpture only in 1960. She has had numerous one-woman shows and has taken part in international exhibitions. Pepper started out making sculptures of wood, then moved to metal. Her art expresses a continuing struggle between mass and airiness, between rooted heaviness and soaring spirituality. In 1991 Pepper moved from the United States to Italy, where she lives today. Continuum is comprised of giant steel sheets with pieces excised to create silhouettes of archetypical trees. The observer is seemingly invited to “enter” the sculpture, to define the absent trees each time anew, and to create a continuum in the process. The silhouettes express the artist’s involvement with nature in delicate, reflective touches. The metal forest rests in the midst of living trees, whose warmth contrasts with the cold of the metal. The sculpture was donated by a group of friends of the Institute headed by Norman D. Cohen and was dedicated to Harry Levine, one of the founders of the American Committee for the Weizmann Institute of Science. Menashe Kadishman was born in Tel Aviv in 1937. He studied with sculptor Moshe Sternschuss, worked as a shepherd on two kibbutzim, then resumed the study of sculpture with Rudi Lehmann and at the St. Martin’s School of Art and the Slade School in London. His works are exhibited in numerous museums in Israel and abroad and he has represented Israel at many international exhibitions, including the Venice Biennale, the Kassel Documenta, and the Sao Paulo Biennale. Kadishman lives in Tel Aviv. Ascent consists of two vertical bodies reminiscent of two bundles of parchment striving upward or, in the words of a well-known art critic, “creviced volcanic islands in a calm sea.” The color contrast between the two bodies, one black, one white, creates an unresolved tension that symbolizes the human struggle for survival and for reconstruction from ruins. The sculpture was designed in wood – layered plywood resembling sheets of parchment produced by the peeling of wood. The design evokes the feeling of a return to nature that has been blocked by reality, since the wood has undergone irreversible industrial processes: The artist has subjected the plywood to minimalist abstraction, then replaced it with stiff iron and aluminum plates. 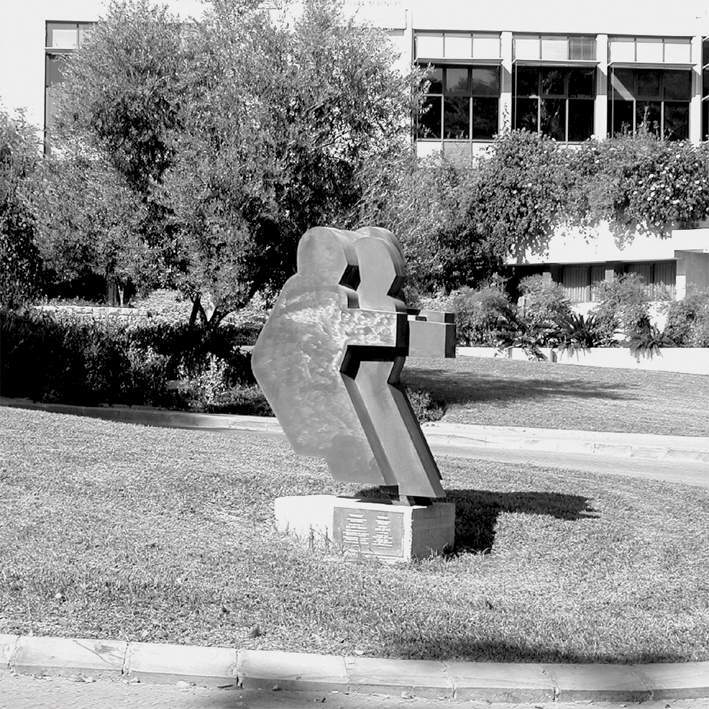 The sculpture was donated to the Weizmann Institute of Science by Dolfi and Lola Ebner in memory of Alfred and Victoria Ebner. Dina Recanati was born in Cairo in 1928. She studied in Egypt and England and specialized in art in the United States. She has exhibited her works in the United States, France, Israel, and Italy. Recanati lives in the United States and Israel. 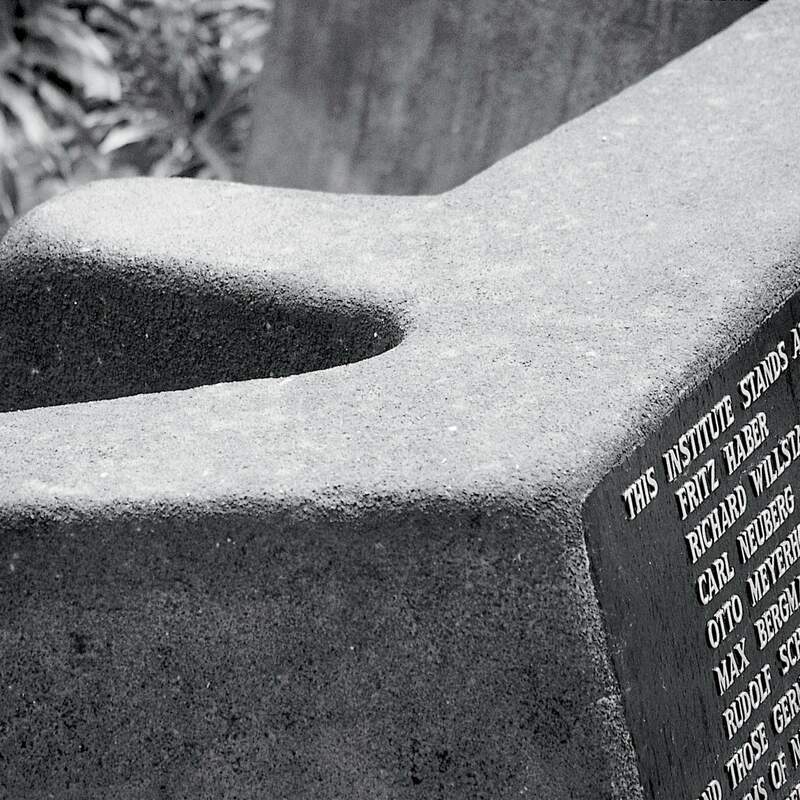 Altars and Water Channels is composed of nine concrete blocks coated with basalt. One of them carries an inscription commemorating “Fritz Haber, Richard Willstaetter, Carl Neuberg, Otto Meyerhof, Rudolf Schoenheimer, and those German Jewish scientists who were victims of Nazi tyranny.” This was the first work created by the young Israeli artist upon returning home after his studies in London. The sculpture forms an integral part of its surroundings, and in this respect ideally exemplifies an environmental sculpture. The “basalt” blocks are planted in the ground and rise from it simultaneously, endowing them with a primordial, primeval, almost organic character. Buky Schwartz was born in Jerusalem in 1932. He attended the Avni Institute in Tel Aviv, worked as an assistant to Itzhak Danziger, and went on to study at the St. Martin’s School of Art in London under Anthony Caro. In 1965 he was one of the founders of the Ten+ Group, which also included the sculptors Pinchas Eshet, Igael Tumarkin, Aika (Ariel) Brown, and others. In 1966 he represented Israel at the Venice Biennale, and in 1967 created the Pillar of Heroism at Yad Vashem. Since 1977 he has engaged in video art, and his work is considered a milestone in the development of this branch of the arts. Schwartz lives in Tel Aviv. Ensemble is composed of four schematic, faceless human figures, viewed in profile, in a simple, laconic, dynamic silhouette. The four figures cling closely together and march forward, one of them stepping somewhat ahead of the others. The faceless figures, bursting forward in their abstract uniform shape, symbolize everyman’s yearning for progress and the creation of a better society. Marek Halter’s Ensemble is dedicated to the memory of Dr. Dov Biegun, one of the founders of the Weizmann Institute’s French committee. 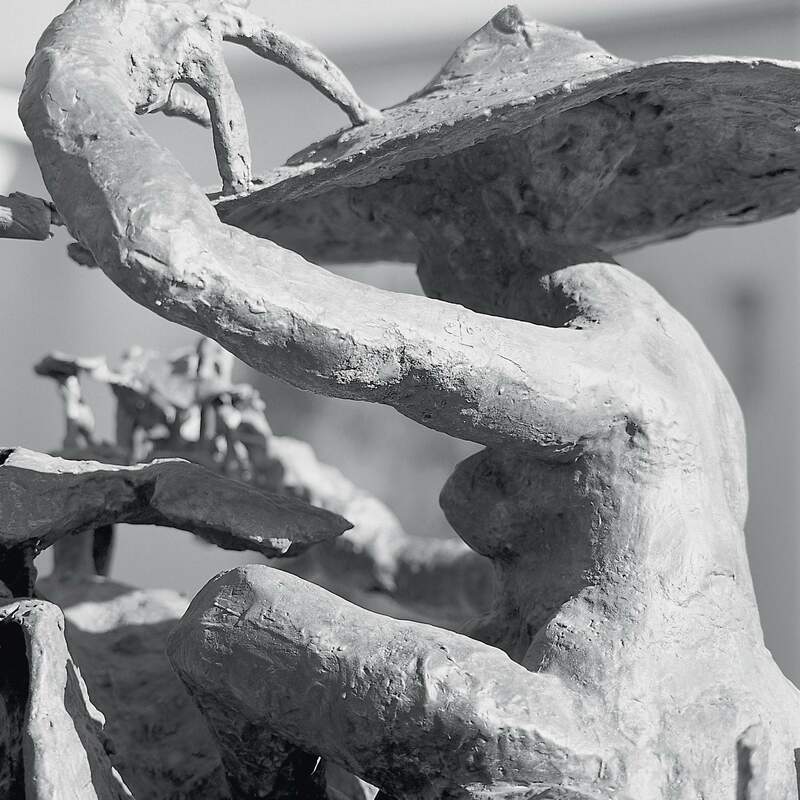 The sculpture was donated to the Weizmann Institute by Comitי France-Europe de L’Institut Weizmann des Sciences and the European Committee of the Weizmann Institute of Science. Marek Halter was born in Poland in 1932. A Holocaust survivor, he became a prominent figure in French intellectual circles, combining international human rights activism with art. 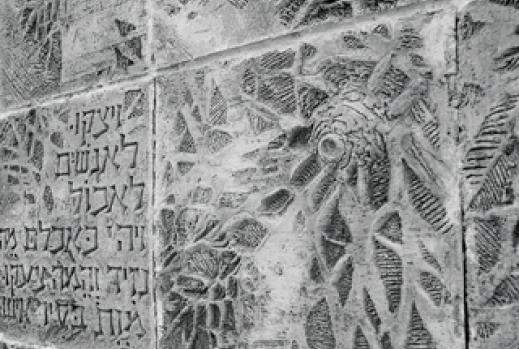 Known for many years as a painter, sculptor, and writer,he believes that the spiritual calling of Jews is to be a “Light unto the People” and to sound an alarm against evil. Halter lives in France. 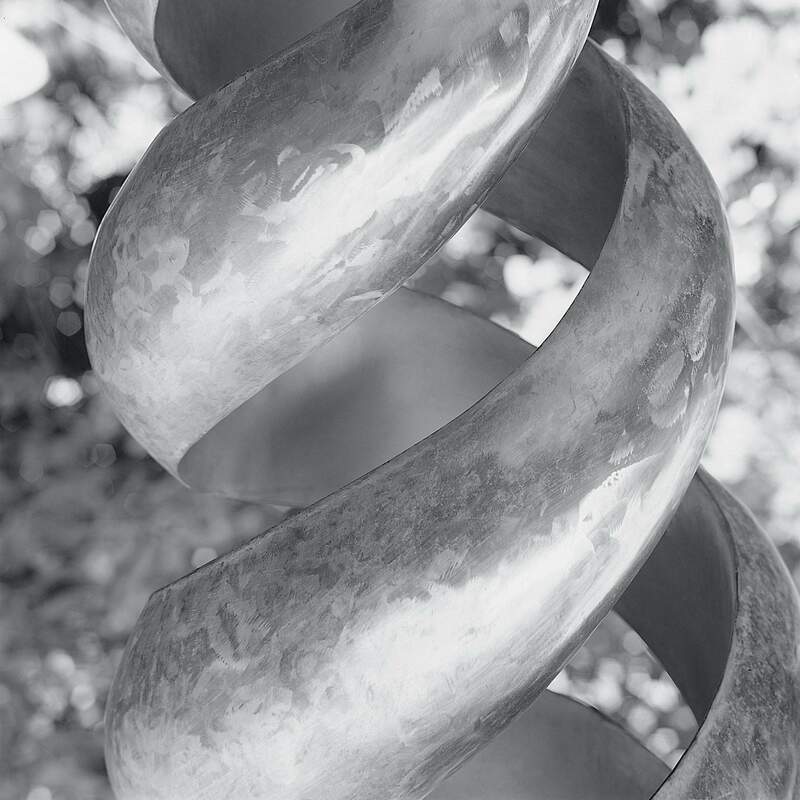 Espiral depicts a spiral rising toward the sky, which is reflected in its aluminum base. 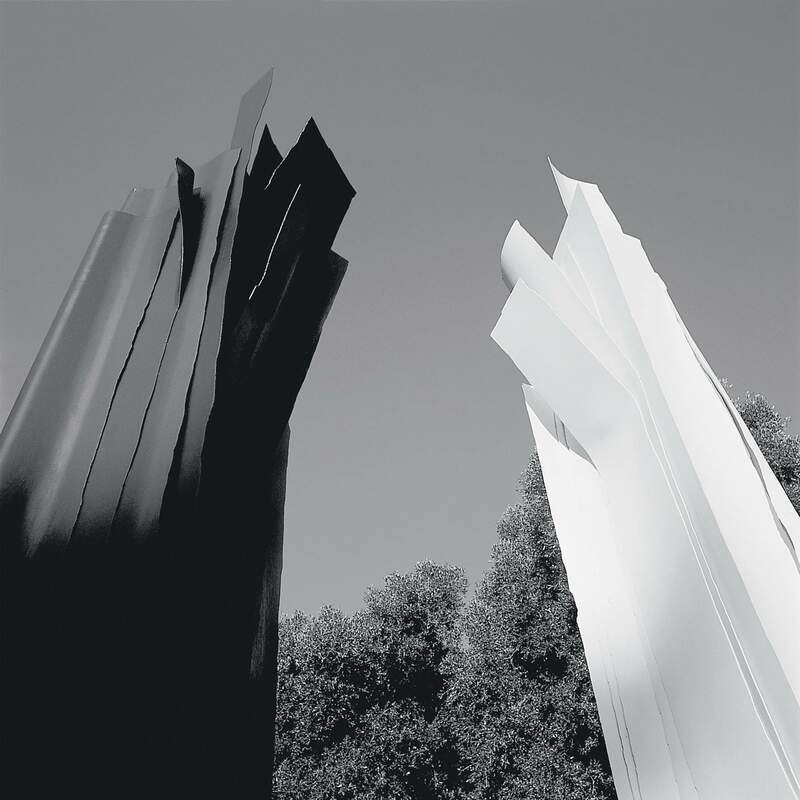 It belongs to the abstract and minimalist movement that characterized sculpture in the 1970s and 1980s. Laconic in shape and content, the sculpture still possesses a thrusting power and movement that create tension and command interest. Especially notable is the unique rough texture of the bronze surface. The sculpture is positioned at an angle that allows the sun to penetrate it and be reflected in the mirror at its base – a tribute to the solar energy research carried out in the djacent Canadian Institute for the Energies and Applied Research. The sculpture was donated to the Weizmann Institute of Science by the artist’s father, Abraham Margules. Miriam Neuman was born in Mexico in 1932. She studied interior design, sculpture, and ceramics at the academy of art and with important artists in Mexico City. Her sculptures can be found in public parks in Mexico, the United States (San Diego), and Israel. She has presented her work at numerous exhibitions in Mexico and around the world. Neuman lives in Mexico City. Memorial to the Victims of the Holocaust, made of bronze and stone, depicts a Torah scroll, split in half along its length and bathed in light. The scroll is tilted diagonally on a white stone cube, its central axis cut through. 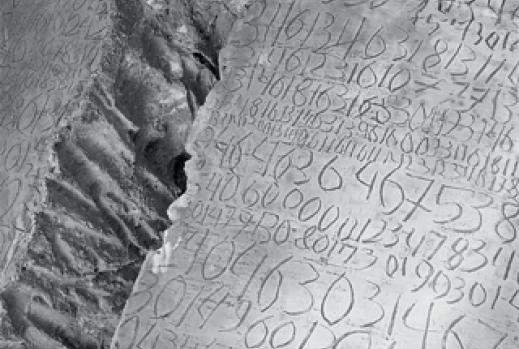 Some common names of Jews who perished in the Holocaust, as well as the numbers tattooed on their arms, are burnt and engraved on the body of the scroll. The scroll is perched on a stone base at a precarious angle, hovering between taking off and crashing. The sculpture is designed to incorporate fire and water, which trickles down the two inner sides of the stone, like tears. Encircling the base of the sculpture are the words of President Chaim Weizmann, in Yiddish, spoken at a Zionist Congress. 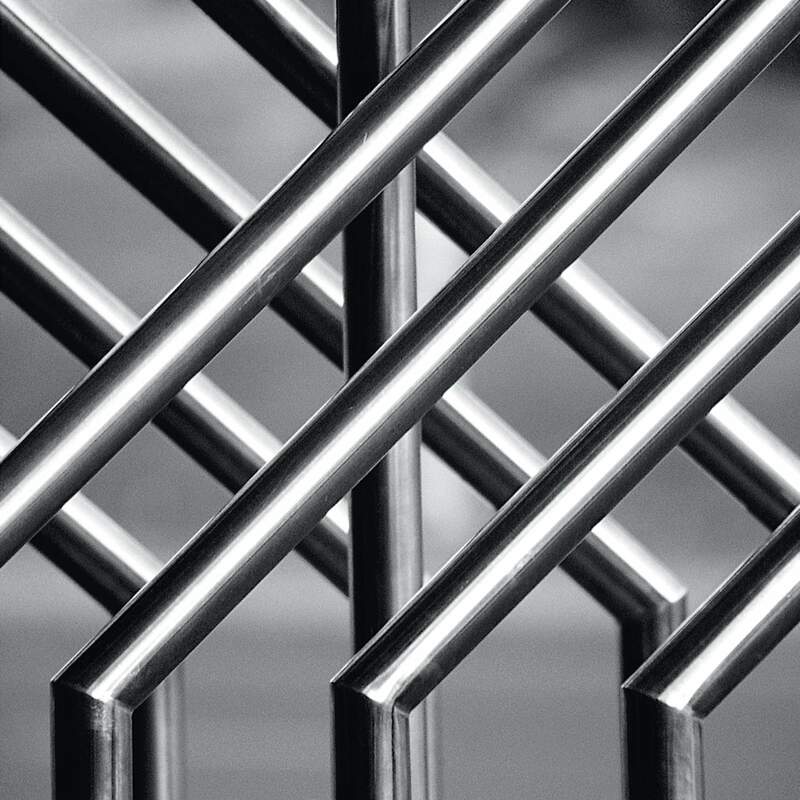 In Suspense is related to the artist’s series of geometric-minimalist sculptures of the 1960s whose theme was dramatic tension. The sculpture, made of corten steel, looks like an open triangle standing on its head; a thin plate, to which a massive rectangular box is attached, extends from its apex. The work creates a disturbing feeling that at any moment the delicate, free-floating balance will be disrupted. This sculpture is connected to Kadishman’s 15-meter-high Elevation (1967), better known as “The Three Circles,” in front of Tel Aviv’s Mann Auditorium. Both sculptures are tilted at an impossible angle from which they threaten to collapse. 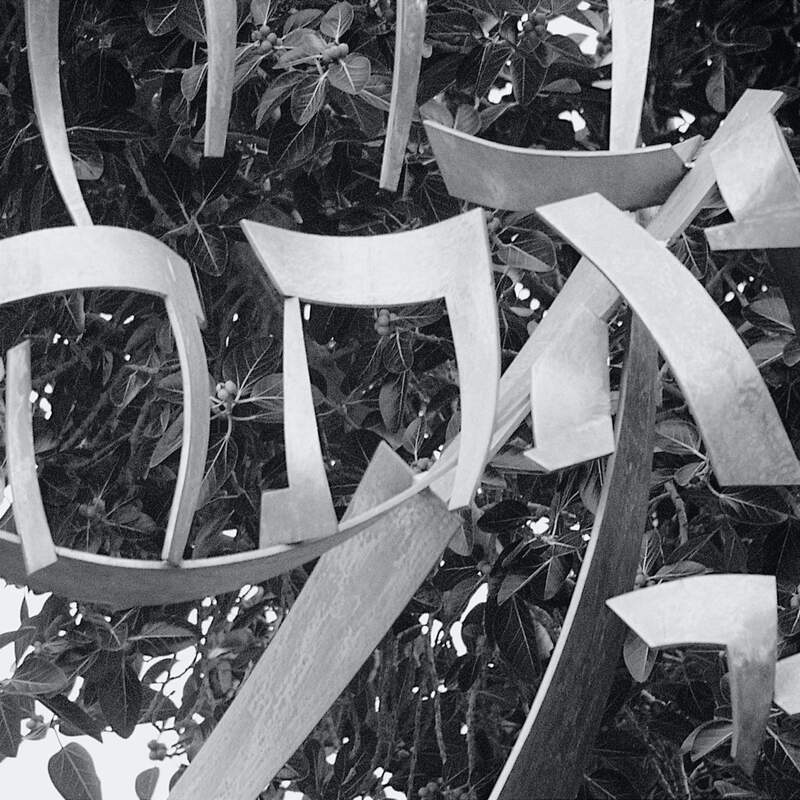 The sculpture was donated to the Weizmann Institute of Science by Ephraim Ilin. Menashe Kadishman was born in Tel Aviv in 1937. He studied with sculptor Moshe Sternschuss, worked as a shepherd on two kibbutzim, then resumed the study of sculpture with Rudi Lehmann and at the St. Martin’s School of Art and the Slade School in London. His works are exhibited in numerous museums in Israel and abroad and he has represented Israel at many international exhibitions, including the Venice Biennale, the Kassel Documenta, and the Sao Paulo Biennale. Kadishman lived in Tel Aviv. Medicinal Plants is a ceramic relief that looks like a forest floor strewn with wheat, leaves, and mandrake flowers, interwoven with verses from the Bible that describe medicinal plants. The relief is made up of large modular ceramic plates, each the size of a ceramics oven. They are painted in earth colors derived from the local landscape, with added shades of blue and turquoise. Gedula Ogen was born in Jerusalem in 1929. She studied at the Bezalel Academy of Art and Design in Jerusalem with Mordechai Ardon. Later, she specialized in pottery with Hedwig Grossmann, one of the founders of ceramics in Israel.Between 1962 and 1980 Ogen served as head of the ceramics department at the Bezalel Academy. Her works are exhibited in museums and in various public institutions in Israel. Ogen lives in Jerusalem.